inDemand is looking for European companies to solve 4 challenges identified by healthcare professionals from Servicio Murciano de Salud (Murcia regional healthcare provider). Co-develop and validate the solution within the SMS and its healthcare professionals. Receive funding up to 30,000 €. 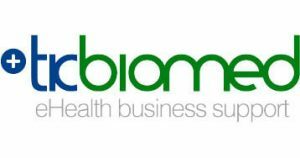 Business support to improve commercial and financial traction delivered by TICBioMed. A first commercial reference to sell the solution elsewhere after the pilot. The funding organisation, Instituto de Fomento de la Región de Murcia (INFO), has launched a competitive call to select one IT company for each challenge. Overheads (25% of the personnel costs). Who can apply? Any Small and Medium Enterprise (consortiums not allowed) headquartered in the European Union. Besides, the following countries can also apply: Montenegro, Serbia, Turkey, Israel, Moldova, Switzerland, Faroe Islands, Ukraine, Tunisia, Georgia and Armenia. Language: Application forms can only be filled in English. Working language during the co-creation will be Spanish. Evaluation criteria: Excellence, fit with the inDemand challenge, potential impact, work-plan viability, team experience and business sustainability. What are the challenges to tackle in Murcia Region? Servicio Murciano de Salud (SMS) has the need to reduce the risk of patients having a re-entry to the Intensive Care Unit (ICU) within the next 72 hours after discharge. The objective is to develop and validate a predictive algorithm or analytical model that allows ICU professional to recognize which patients will be most likely to get complications and facilitate decision making to prevent a readmission. Additionally, the Challenger would like to get insight about what clinical factors are critical in these situations to optimize ICU internal processes. Servicio Murciano de Salud (SMS) has the need to create a new intervention focused on the child and his family that address the key aspects: education, motivation, and adherence. The two-fold objective is to demonstrate that a digital solution, in the context of a regional public health service, is effective in the management of children obesity. and, as a secondary objective, Servicio Murciano de Salud (SMS) also wants to learn how to easily integrate 3rd party patient-facing mobile solutions via its corporate systems. Servicio Murciano de Salud (SMS) has the need to leverage existing corporate IT systems to facilitate the empowerment of patients with epilepsy, and their convenient communication with doctors. The main objective is to improve the quality of life perceived by epileptic patients by facilitating a more convenient communication with his doctor and empowering him to better manage his disease. Servicio Murciano de Salud (SMS) has the need to develop an online platform to help in the planning, monitoring, and evaluation of specialized healthcare education delivered in hospitals, with greater security, convenience and efficiency than the current paper-based approach. The objective is to develop instruments to manage the specialized training process within the scope of each teaching commission (of teaching center and teaching unit). This call is launched in the framework of the EU project inDemand. There are a number of official documents to be considered and it’s important for you to read all of them carefully before applying. Find below a brief description of what you will find in each document. Note there are 5 links to documents to be downloaded. Guide for applicants contains the basic information needed to guide you in preparing a proposal for the first inDemand Open Call and becoming a Sub-Grantee of the inDemand Project. It gives instruction on how to structure your proposal, how to submit it, and the criteria on which it will be evaluated as well as the way the selected projects will be managed. *Would you prefer to take a quick look at the call? Find here a summary of the Guide for Applicants. The Application Form describes the information requested to SMEs from the beneficiaries of the inDemand Open Call, against which, they will be evaluated and selected. The Sub Grant Agreement model contains the basic information for the contract signature to provision of financial resources from inDemand to a third party (the SME). It must be signed by the SME to receive the grant. The funds received by the Sub-Grantee are owned by the European Commission. The Contractor is merely the holder and manager of the funds. If you have any questions, check our FAQs. If you can’t find the answer, please FILL THIS FORM. Oulu Region has also launched a call to solve 4 challenges. More information. Paris Region has also launched a call to solve 4 challenges. More information.